Today we find ourselves down 69 Colebrooke Row visiting “The bar with no name“. The reason for this visit? A cocktail masterclass with none other than Tony Conigliaro, a mixologist of exceptional skill and author of the aptly titled book called “Drinks“. 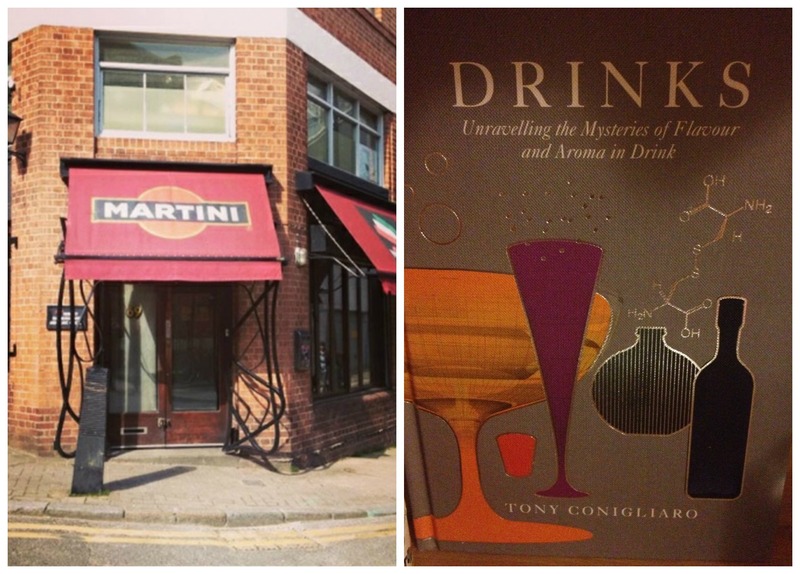 Tony has been described by his contemporaries as the “Willy Wonka” of the cocktail world and a person whose experiments in a laboratory have resulted in inventions of wonder. Well with descriptions like that, surely he is worth a trek out in the cold and snow to listen to. Upon entering, you are welcomed to an intimate space that has been inspired by a film noir motif (a nod to the fact that the bar remains nameless?). 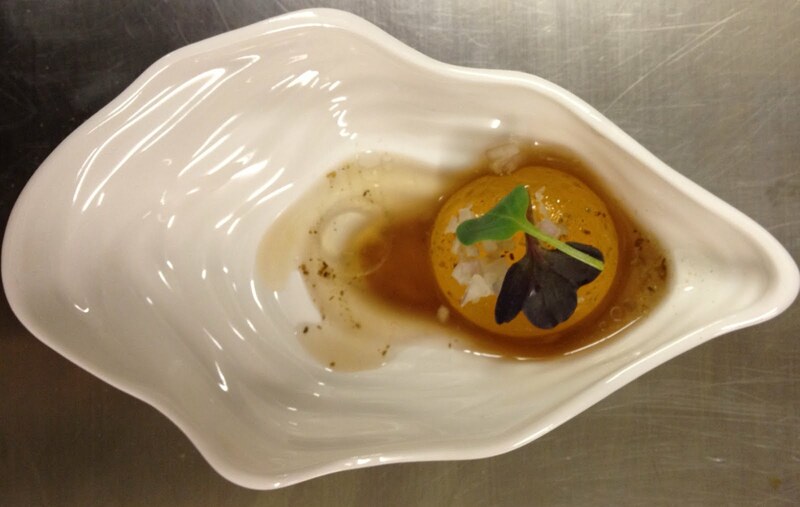 Tony introduced himself by offering us a chance to sample the most recent addition to his repertoire, a Prairie Oyster. This visually stunning drink had us guessing straight away as to what it was made of. Most of us agreed that it looked like a raw egg, but surely that can’t be so? 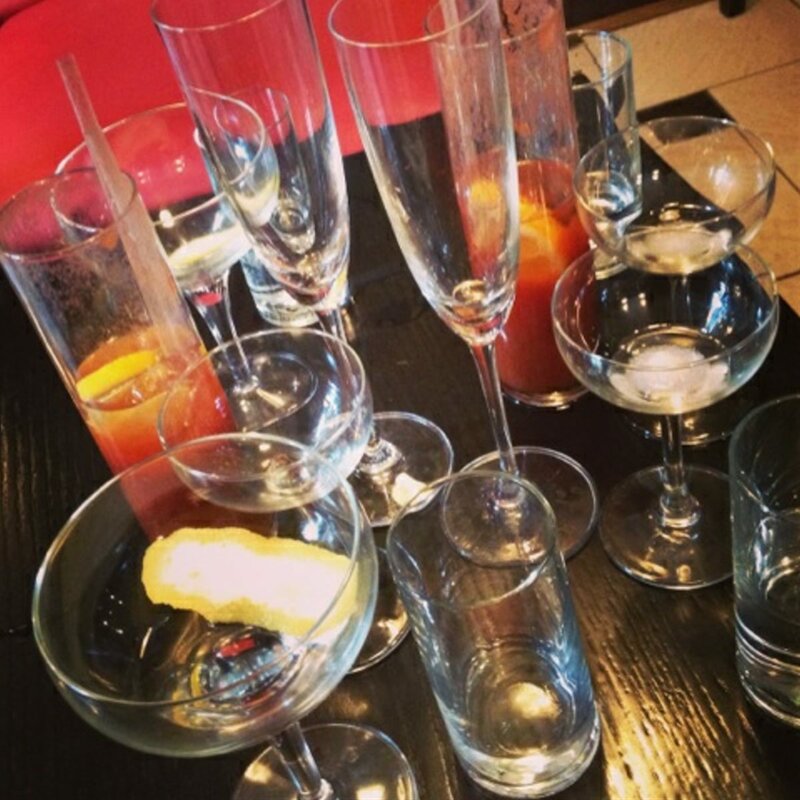 Well just in case you couldn’t guess, the drink itself was in fact a version of a Bloody Mary, whereby the tomato juice was replaced with a clarified tomato juice, reformulated to resemble an egg yolk, horseradish vodka, sherry, Worcester sauce, pepper sauce and shallots. Well by this stage we knew we were in for a real treat. Throughout the master class Tony would introduce various cocktails from his book, usually with some rather amusing anecdote, and give the opportunity for one of us to make the cocktail under the helpful guidance of his team. This was my attempt at a liquorice whiskey sour. How did I know it to be a success? Well Sarah, who is not a fan of either of these ingredients, enjoyed the drink. At this stage I am almost willing to worship the genius of Tony and his drinks (man crush developing?). Whilst the event followed a vague structure, Tony was flexible enough to go off piste with our various questions and wonderings about why he uses the ingredients he does or selects one spirit over another. This resulted in some impromptu sampling of Guyana Rum, Horseradish Vodka and Rye Whiskey. Tony is a man with the confidence to tell you how it is. This was highlighted by a slightly embarrassing dressing down when I asked his opinion on the Extra Dry Manhattan, the answer to this was to simply avoid them. This was gratefully proved when he made me one of his own versions of a Sweet Manhattan, and to show their were no hard feelings I enjoyed drinking every drop. Tony’s enthusiasm and attention to detail to his cocktails are addictive. He does not just stop with the drink itself but is concerned with every component of the drinking experience from the presentation of the drink, its colour, its texture and its smell. 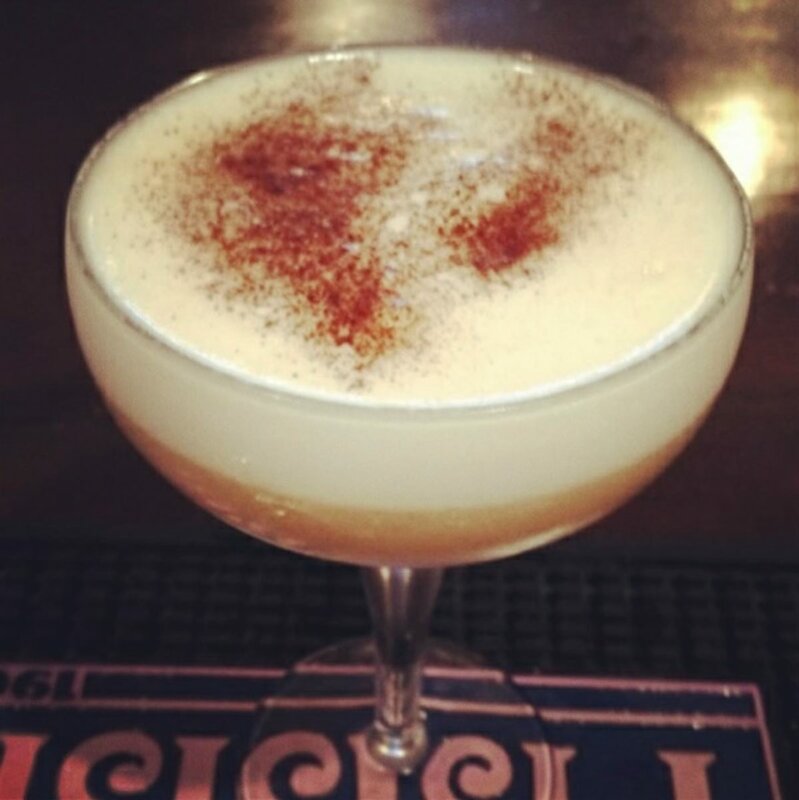 This has resulted in the invention of new and exciting drinks as well as the reinvention of old classics. I look forward to visiting the bar to give it a more thorough review in a couple of weeks. ← Dinner for 2 for £12. Win.